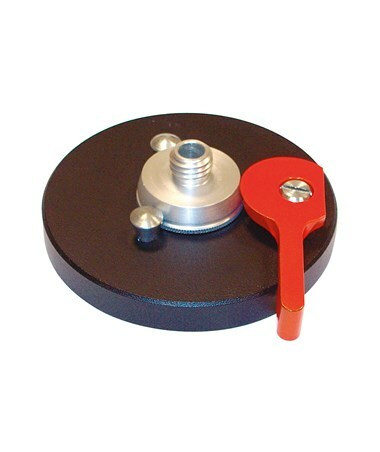 The Quick-Fix Base Plate for Nedo Tripods is a tough adapter that enables installment of a laser or level securely and quickly to any tripod. 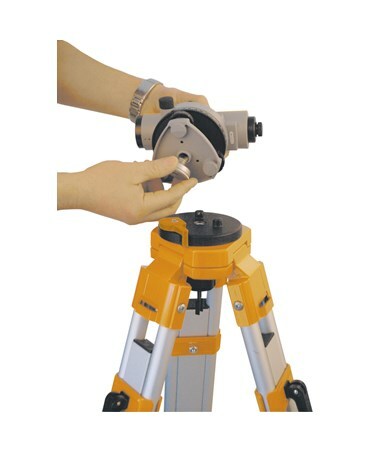 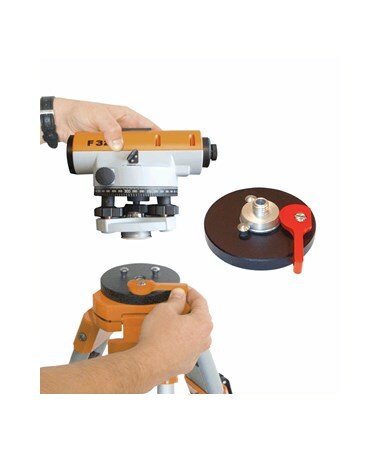 It makes the job easy which saves time when switching surveying and construction instruments. 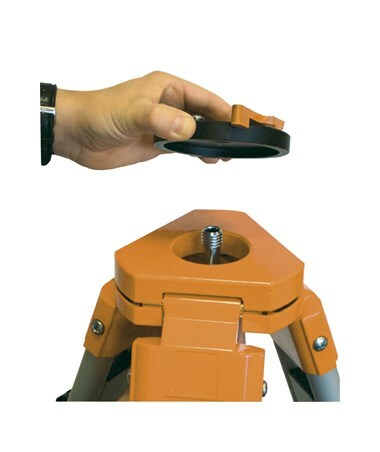 Simply fasten the Quick-Fix base plate to the tripod’s retaining screw and the instrument will then screwed onto the adapter's 5/8-inch x 11-inch thread. 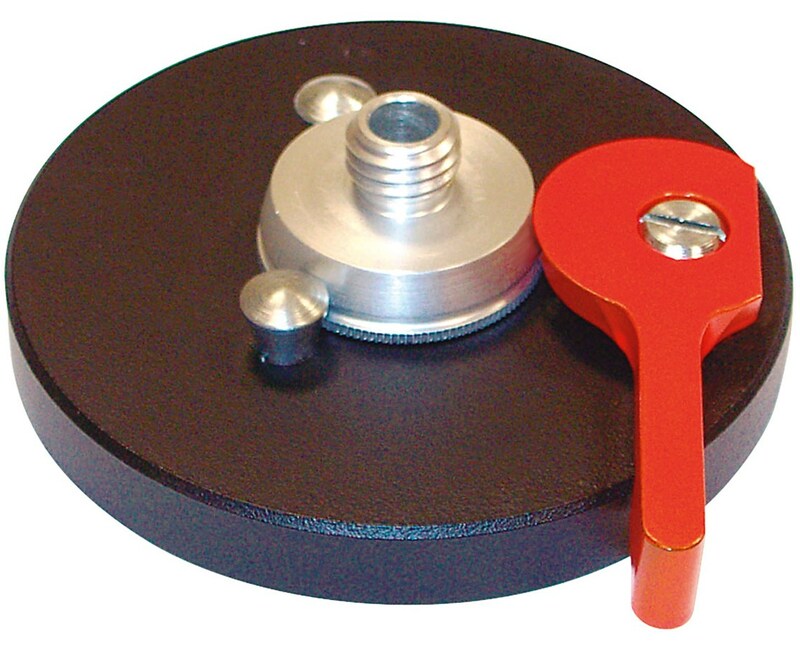 A lever exists to allow easy locking and releasing of the instrument.